Making the decision to start a drone-based remote sensing program is just the first step. To secure funding, champions of the technology need to prove its worth to key decision makers. and get your internal communications team and management on-board with the platform through promotion of your drone project. 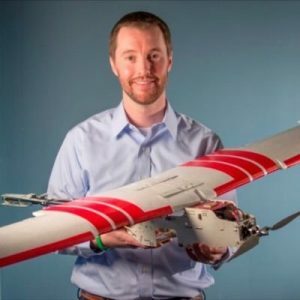 Ultimately, Thomas will give you the tools you need to earn support for your drone program. With more than a decade of experience in building new business opportunities, maximizing financial impact and identifying and maneuvering global economic trends, Thomas understands the gap between emerging programs and employee support. He earned his MBA from Harvard Business School in 2011. Thomas has since driven the company’s growth by pursuing new business opportunities and strategic partnerships worldwide. RSVP to hear Thomas’s presentation and participate in a live Q&A. To learn more about packages, algorithms, and how to add aerial intelligence to drone programs in the agriculture, energy, government, insurance or construction industries, visit our website or speak with a PrecisionHawk expert today.